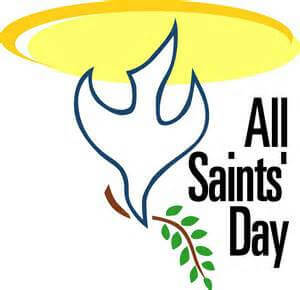 On November 6, 2016, our congregation will observe All Saints Sunday. It is a high and holy day when we remember ,with thanksgiving, all the saints who have walked in our midst and have died in the past year. We will be remembering loved ones by lighting candles and ringing bells as a sign of our saints’ lives in the eternal light of God’s love in Jesus Christ. Members and friends of our church family who have passed away over the past year are: Janell Ackerman, William Feuss, Marlene Ford, Alberta May Hagerman, Dean Keefe, Jackie Kerr, Vickie Kosina, Naomi Letherman, Muriel Legore, Betty Mohn, Dwight Peterson, Karen Trimpe, and Catherine (Kay) Woods.